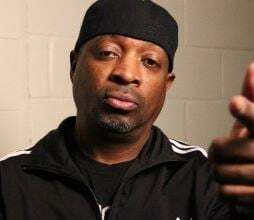 In a recent interview with Billboard, Chuck D says he wants Urban Radio to "get it right or be gone." The urban radio format can be essentially defined as music from Hip Hop/Rap/R&B artists like Jay-Z, Kanye, Drake, Rick Ross, Chris Brown, Future, 2 Chainz, Nicki Minaj and Beyonce among others. The format aimed at 18-34 men and women consists of rap lyrics and themes that definitively intrigues the mind of male adolescences that are 13 years of age. Perhaps therein lies the problem within "urban radio" and the corporate Hip Hop that is promoted in the marketplace that casts off pioneers of rap such as Chuck D because he is perceived as being too old or not relevant. However the most prolific artist of the genre and this generation, Jay-Z, is not perceived as too old at 44 years of age only because he raps about a lifestyle he abandoned years ago or he brags about what he has and that 13 year old boy does not. So it really has nothing to do with age...but what adults are willing to support. The leader of the legendary Hip Hop group Public Enemy says, "My goal by year's end is to change the face and sound of urban radio. I've been in this sh** 30 years, too long to just sit and let it be. I'm not going to be the grim reaper. I don't want to be the grim reaper. But people have to stand up and we need some change, and it's time." The high profile event that started Chuck D's public crusade via Twitter was Hot 97's Summer Jam. He declared that Summer Jam has made Hip Hop into a sloppy fiasco. He added he was unhappy with Summer Jam, particularly over the use of the N-word and a line-up he felt did not adequately represent the New York hip-hop community was "the last straw" in a general dissatisfaction over the state of rap and radio stations that play and brand themselves with the music. We find it interesting that the use of the N-word at Summer Jam is what sparked Chuck D's fury against the urban radio station. In a 2009 interview with Oprah, Jay-Z said on his use of the N-word, " I believe that a speaker's intention is what gives a word its power. And if we eliminate the N-word, other words would just take its place." Chuck D said what he will do is observe the situation "from afar" and continue to speak out to affect some form of change. If he doesn't see an improvement, he is fully prepared to "destroy the platform of urban radio." @hot97 Run if you want,these are mere words on twitter.A mirror to your actions simply say 'unaccountability'.The climate control you have..